Supermodel Christy Turlington Burns went into the hospital in 2003, expecting to simply deliver her first child, Grace. Instead, she found herself hemorrhaging on the delivery table. Through that dark experience, Turlington Burns found her life's calling. In her new documentary, No Woman, No Cry, Turlington Burns travels around the world to peer into the choices and lives of mothers, prompted by her experience. She notes in the documentary that while she had a birth team that was ready for every contingency, she wondered about the women who did not have the same resources she did. She ultimately records four major stories, seeking to ask the question that the world does not want to answer - why do so many mothers die in childbirth due to preventable causes? Turlington Burns' documentary hits many different chords of the reproductive justice movement by encompassing a variety of issues impacting mothers, from choice to culture to care. The documentary begins in Tanzania, following a Maasi woman who is feeling severe pain. Her pregnancy has been complicated, but with no money for travel or food, the woman chose to suffer in silence. She walks five miles to a free clinic that will treat her, but the nurses determine that the umbilical cord may be wrapped around the baby's head. Fearing the mother and child may die without better care, the nurse orders the woman to head to a hospital, miles away. But without funds to pay for the ride or the hospital, the young mother is in a worrisome position. 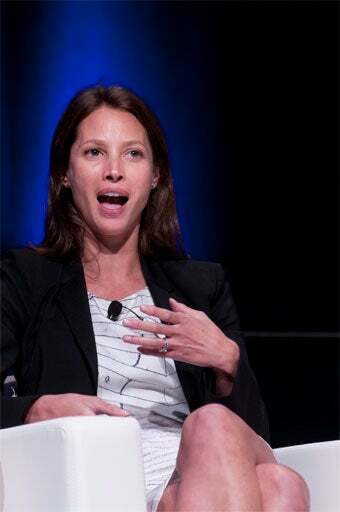 Turlington Burns frames the documentary to illuminate larger societal issues as well as the situation for the mothers. In the case of the Maasi woman, the underlying issue is the lack of infrastructure and resources in developing nations, where even minor issues can suddenly become fatal. From there, Turlington Burns travels to the US, illuminating yet another problem - the tendency to focus on problems abroad, to the detriment of women facing the same barriers to access in the United States. Turlington Burns frames the issue well - she mentions how women across the globe are dying because of a lack of access to facilities; however, women in the US have a variety of options that can only be accessed with proper health care coverage. Turlington Burns moves on to Bangladesh, where cultural issues about the role of women, motherhood, and self worth are examined. Case workers then poke holes in the "if you build it, they will come mentality, noting that women can be actively discouraged from using hospitals by their community. Finally, Turlington Burns heads to Guatemala, to confront an issue that also drives up maternal mortality rates: botched abortions. While Guatemala has officially banned the procedure, more than 65,000 women attempt it each year, leading to severe complications. The social stigma of admitting to an abortion adds an additional problem - many women will not tell their doctors the truth about the source of pain, meaning they may not get the proper treatment for fear of their secret getting out. No Woman, No Cry is still on the film festival circuit — as of yet, there is no mainstream release date set for the film. However, Turlington Burns work represents a broad range of issues of concern to mothers across the globe - and one hopes the audience for this film will be just as large.